Mexican is our speciality but we do offer other catering units with vary a variety of food typesfood types, for those who fancy something else. This gives us the ability to cater for large functions or events with multiple units. You only have to deal with one company instaed of instead of a number of diiferent providers. Makes life a lot simpler. 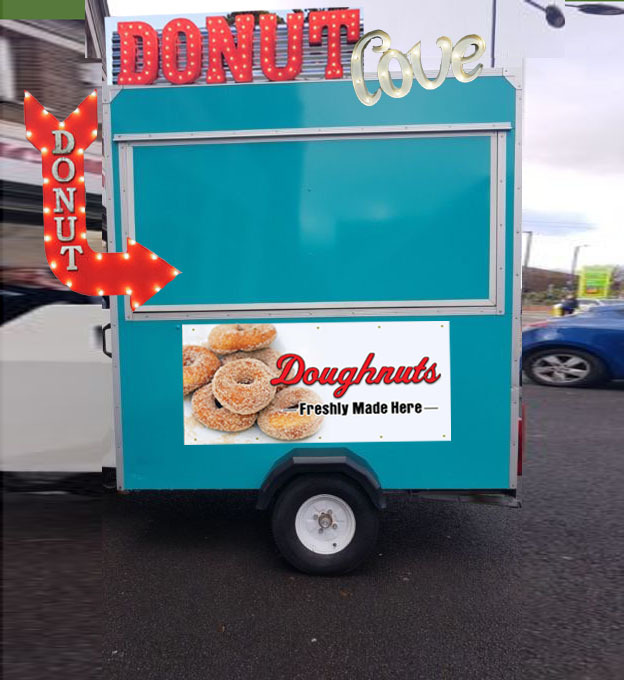 Providing fresh hot doughnuts in various sizes frim mini to large cremes. Various glazed topping or with cinnamon/vanilla sugar or a range sauces should sugar not be your thing. Chilli Eating Challenges!? !...Well we challenge you to try our 'Beast' Burritos at one of the best Chilli Festivals around.